Sinner: Sacrifice for Redemption is an action RPG developed by Chinese developer team Dark Star Games. The game enables the player to assume the role of an amnesiac knight who travels through a dark fantasy realm in search for a way to regain his memory and find redemption. Sinner: Sacrifice for Redemption is an action RPG released on PC, SWITCH and etc.. The title was developed by a Chinese studio Dark Star Games, founded by veteran developers from Blizzard Entertainment, Konami and Ubisoft. The game takes place in a grim fantasy world terrorized by eight powerful beasts – seven of them represent the seven deadly sins. The player assumes the role of an amnesiac soldier named Adam. He starts a journey in order to save the world, remember his sins and find redemption. The game features a few different endings – which one player receives depend on how he manages during the duels with the personifications of sins. 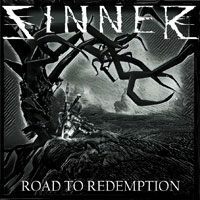 Sinner: Sacrifice for Redemption for PC, SWITCH and etc. is an action RPG concentrated on exploration and action-based combat. The player can use variety of weapons and the battles require a good tactical sense. Mindless charges always end bad. In order to win, the player must learn to analyze enemy movement and find good opportunities for an attack. Battles are very hard and during the campaign the player dies regularly. Each death is a lesson that helps in faring slightly better during the next approach. The developers implemented an interesting idea thanks to which the game distinguishes itself among other titles in the genre. Before each battle with the bosses that represent the seven deadly sins, player must sacrifice one of his statistics. This means that in opposition to typical role-playing campaigns, in Sinner: Sacrifice for Redemption player’s character gradually becomes weaker as along with progressing through the game. The game only features singleplayer mode. However, the developers introduced a few alternative game modes thanks to which campaign features new challenges when played for the second time.